ysabetwordsmith | Poem: "The Outside of a Horse"
Poem: "The Outside of a Horse"
This poem is from the November 2016 crowdfunding Creative Jam. It was inspired by a prompt from redsixwing. It also fills the "horseback riding" square in my 10-4-16 card for the Games and Sports Bingo fest. This poem has been sponsored by a pool including daisiesrockalot, ng_moonmoth, and technoshaman. It belongs to the Dr. Infanta thread of the Polychrome Heroics series. 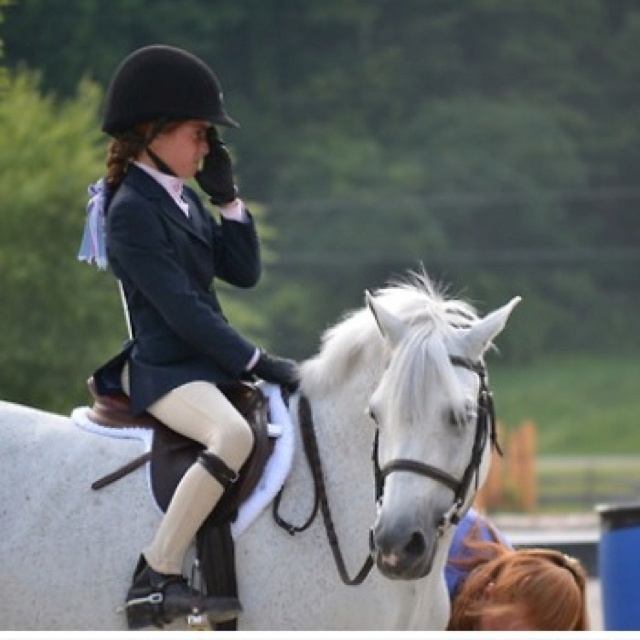 "The Outside of a Horse"
back to the pony club. 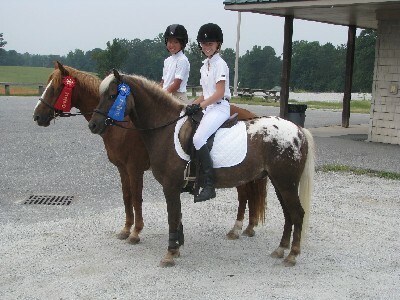 a safer pony to ride. Today's activity was water play. had brought bubble making supplies. because it looked like water to him. a corner and tried to kill the poor tarp. that they barely showed any interest. waited for the lesson to begin. mounted up and rode across. his ears tilted lazily to the sides. Then Liam turned on the sprinkler. had trouble staying in the saddle. didn't even reach his back. gotten tired of wet feet. that drifted over the field. soon joined in the game. and snorted when they popped. "Bleh," he said, flapping his lips. Alicia laughed. "They're soap bubbles. Soap doesn't taste very good," she said. hitting them with your nose." he was catching them easily. to force bubbles through a towel. Soon it churned out mountains of foam. the long loop of the string. his head back and forth. the thing in his mouth. relaxed and happy for a change. coming here, but it is," she said. Fionnuala turned and smiled at her. is good for the inside of a human," she said. bubbles the size of beachballs. opportunities to be both, preferably together. "Yes," she said to Fionnuala, "that could be why." Mountie training teaches horses to stay calm under stressful conditions. 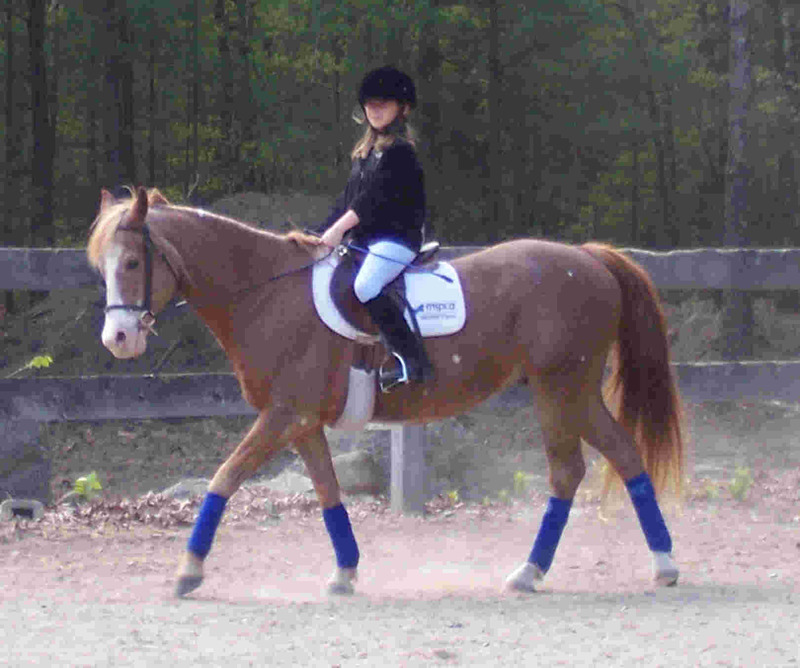 Watch a video or read instructions on how to teach your horse this. Training for water tolerance works best if you go through stages. Make your own water obstacle with boards and a tarp. First introduce your horse to the tarp. Then fill the tarp with water. It is easier to get horses into water on a hot day when the water feels good and they are thirsty. Sprinklers make great practice because they make noise, move, and spray water all at once. 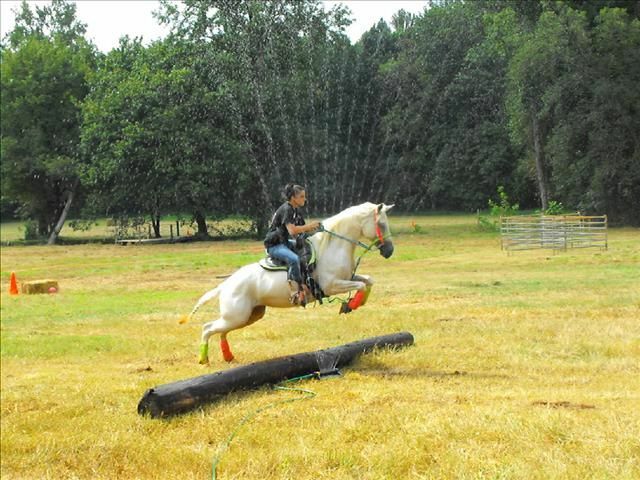 Some horses love playing with sprinklers. See the most bombproof horse on the planet. 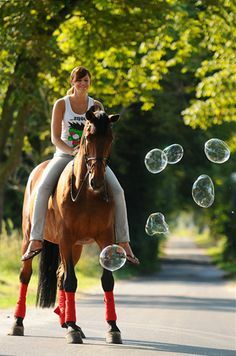 Horses may practice with blowing bubbles or suds. 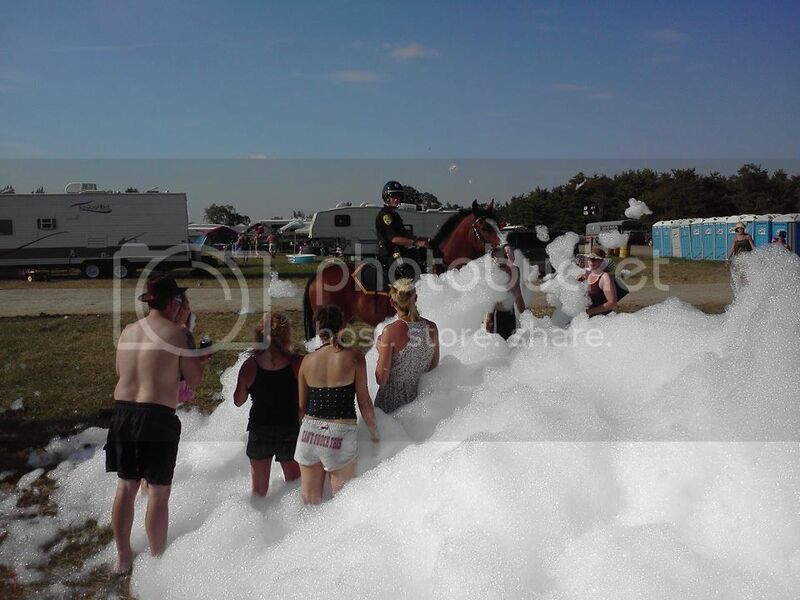 Foam parties can be fun, but there are risks. For safest results: use a hypoallergenic foam solution or baby shampoo instead of harsh chemicals, wear sensible clothes or bathing suits instead of fancy outfits, play on grass instead of a smooth surface, and be sober instead of drunk/stoned. You can buy or make a foam machine. 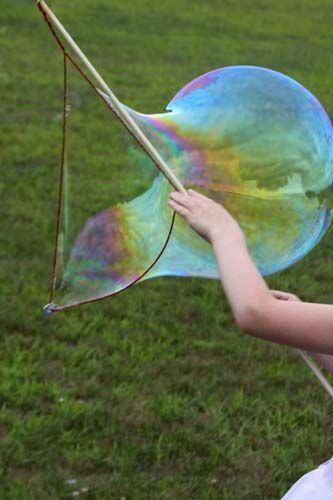 Giant bubble makers are fabulous and come in various styles. Again, you can buy or make one. Judd's model looks like this. Note that giant bubbles require a different solution; it must be strong enough to hold all that air inside. There are many recipes to make at home, or you can shop for various brands. In my family this typically turns into a fun physics lesson too, because we are nerds. Awwww. I like the friendship between Alicia and Judd here and the way they know how to have fun together whilst separate and doing their own thing. It's such a sweet, cuddly poem. I'm not surprised Alicia is happy and relaxed by the activities. So relaxed in fact, that her Guardians aren't even mentioned in this piece. I think, with the exception of times when she doesn't have any Guardians, her poems always mention at least one of them as present? Unless we count Judd, but he's there for the same thing Alicia is. I don't like walking on tarps myself. Imagine if someone replaced the floor covering in your bedroom with sheets of bubble wrap while you were asleep, and you stepped on it in the middle of the night ... that's what stepping on a wrinkly crunchy tarp feels like in my body, startling and slippery and loud. Dunno if horses agree or disagree with that. Thank you. <3 They might very well agree. I do know they spook easily. Once while walking outside, I inadvertently stepped on a caterpillar. It popped underfoot, loud as a firecracker. I teleported about three feet straight up. I accidentally stepped on a *woolly* caterpillar *barefoot* at the age of four or so. One of the nasty ones (though not the nastiest; there are South American ones that kill people). Took until I was twelve or so for the numb spot along the inside arch of my foot to entirely heal as I grew. Heh. Not as awful, but ickier: I pulled that bit of dirt off my sneaker... it was a slug. How can *anything* be so icky/slimy? I had after-shudders for *hours*. (of course, re: the teleportation, I'm flashing back on an old Peanuts cartoon, "I bet if someone said 'kindergarten', she (Sally) would jump 40 feet in the air!" with the punchline of "only ten feet. I knew you were exaggerating." I agree, slugs are icky. I think it is a combination of mucilage designed to lubricate their passage over objects, and the soft squashy body. They feel like entrails. I think Ysabetwordsmith gave a great answer. *thoughtful* I wonder what it would be like to have horse senses. They experience the world very differently. 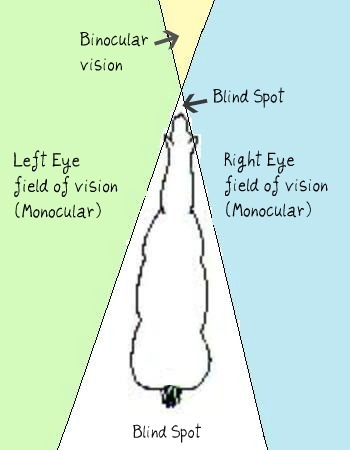 Less color, though not none; much wider field of vision and better alertness to motion. Better hearing and smell. The Body Language of Horses says a lot about their senses, if I remember right. But you can find some online too. I know, maybe, enough to describe differences, but not enough to imagine myself inside them, and so I wonder about the total experience. Wow! I hadn't even realized that. Alicia and Judd would have needed at least Lorry for transportation, but he's capable of fading into the background. They may have gotten comfortable enough with the pony club that the Guardians don't feel a need to hover in twos or threes. * Horses are prey animals. Their survival strategy is to run away from danger. * This makes most horses skittish in general. Hotbloods like Arabians are even more volatile; coldbloods like Friesians are more phlegmatic. * Because a horse relies on his feet for survival, he is extremely careful where he puts them. Unstable footing is therefore undesirable. A tarp moves and crinkles underfoot, making it scary. * Water is also scary. Some horses just don't like the feel of it, although others love it; but for all horses, it obscures the surface underneath it. 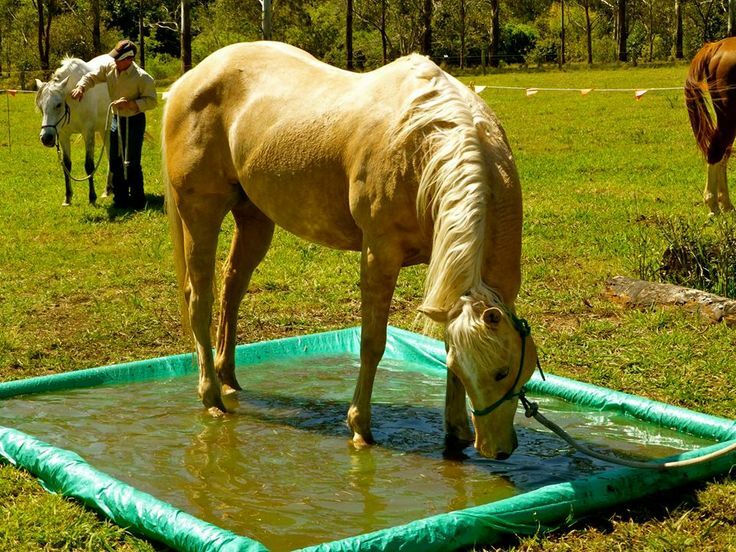 A tarp looks like water to a horse. * A horse's eyes are on the sides of his head, like most prey animals. This allows him to see almost everything around him, except for a narrow slot right in front or right behind. However, it costs him depth perception because he has less binocular vision. This means horses can easily detect objects and motion, but identifying or locating them precisely is harder. * A horse's ears are like little radio antennae. They can swivel in almost any direction, independently, and they can detect very small sounds. A rustling tarp sounds very much like a cougar stepping on dry leaves. * A horse's instincts tell him that danger typically approaches from the sides or rear, and thus, motion from those directions is something he should run away from. This is used to steer horses in training -- you twirl a rope behind him and he moves away from it. But any sudden motion will also make him move, gently or violently, such as a flapping tarp or a swaying branch. Now, Judd is a person. He has a logic-brain, much as a human does. But he doesn't have an ape-brain the next step back; instead he has a horse-brain. His lizard-brain is likely very similar to ours. His instincts, however, are equine rather than primate. This gives him a very different pattern of uneasiness than humans typically have. For instance, humans have hardwired reflexes about falling and most are quite averse to it; hence the "trust fall" exercise that many people dislike. Horses will rear, roll, and a dedicated bucker will fling himself over backwards to oust an unacceptable rider; but they tend to hate flappy things. A sentient person can choose to ignore their instincts, because instincts are broad-based while logic is more specific. Unlike the ordinary horses, Judd knows what a tarp is and that it is not a threat. But that doesn't change the way he feels about it. He still has to think about whether he's got a spoon to spend on telling his horse-brain to shut up about the crinkly thing. Over time, this will probably get easier for him, just as humans learn how to manage their instincts during childhood. In this regard, the pony club and the mountie training are extremely useful, although Judd and Alicia may not have framed it in those terms. I might be misremembering cameos in specific poems, but it's definitely a general trend in that you normally at least mention that her Guardians exist even if it's just a very brief note like "Lorry transported them to X". Here? Not a whisper, so I'd assume that she's comfortable and the pony club deemed safe enough that they can melt this far into the background. I assume they're still present in the vicinity, but that's it. If you want to understand how horses think, get the book The Body Language of Horses. It was recommended to me by Doranna Durgin, a writer-friend who works with horses. And if you're enjoying Judd, I highly recommend her Dun Lady's Jess. I'm glad you're enjoying the fluff. That horse video BLEW ME AWAY. I ran into the concept of a bombproof horse & immediately decided to try for a bombproof cat -- my boy already does the leash & harness thing, & very little phases him. A couple years ago he was about thirty feet away when a friend shot a cannon -- Loiosh _did_ jump, but then stomped over to holler at his Unca Derek for making an Unnecessarily Loud Noise. ...I think I did okay. Yay! Judging by photos, Loiosh the cat does seem to cope with unfamiliar environments much, much better than an average housecat, probably because of all the time you've spent helping that happen. SO MUCH TIME. SO, SO MUCH TIME. That said, I couldn't have done it if he hadn't _already_ been inclined to look at new stuff & go 'whatevs'. Agreed, I am still in awe of that. There's a line, I think I saw attributed to Groucho Marx, about how "outside a dog, a man's best friend is a book. Inside a dog, it's too dark to read". I was wondering if this played into the title, or if it was just an interesting coincidence. I have heard that, but wasn't thinking of it as part of this poem.